The Ganslernhang slope is a mixture of challenge and mythos for slalom racers, in a similar way to which the Streif is for downhillers. The many transitions in terrain and incredible setting are simply unparalleled in the World Cup calendar. Its close proximity to the fans is one of its most distinguishing features. Norwegian Henrik Kristoffersen won last year and has also managed to up the bar again in this season’s slalom sport. He has won no less than four of the last five slaloms. One of his closest contenders is Marcel Hirscher, current leader in the overall World Cup standings, who has set himself the goal of beating the Norwegian tomorrow. Felix Neureuther already has pleasant memories of the Ganslerhang after winning the Slalom in 2010 and 2014. His father also took the title back in 1979. With regards to the Austrian camp, Manuel Feller and Christian Hirschbühl have a realistic chance of doing well. 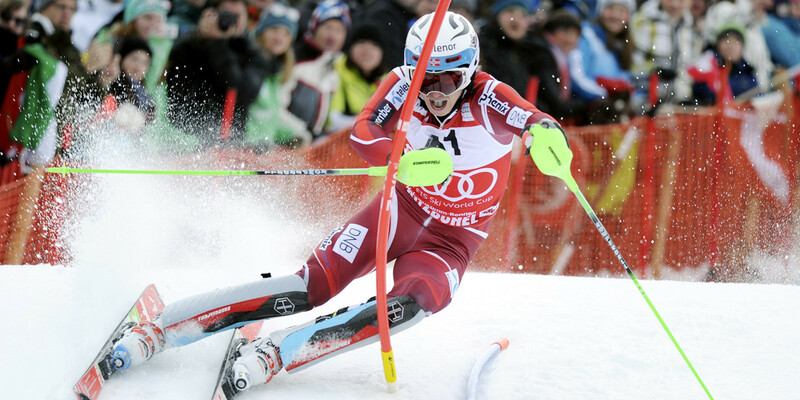 The latter drew attention to himself by coming fourth at the last Slalom in Wengen. Austrians Marco Schwarz, Marc Digruber and Michael Matt will continue their attempt in gaining entry tickets for the World Cup in St. Moritz tomorrow. ÖSV (Austrian Ski Assoc.) slalom skiers were able to prepare for the race in Kössen. „We trained there on extremely well-prepared slopes“, said ÖSV Slalom Coach, Marco Pfeifer. We are looking forward to the Ganslernhang tomorrow, however the last ÖSV triumph by Marcel Hirscher (2013) lies a few years back.